Angela Schlegel recently graduated from Tucson Magnet High School in Arizona. Her interest in science won her second place in Intel’s annual International Science and Engineering Fair in the plant science category. In addition to a cash prize of $1500.00 Angela will have a minor planet, asteroid or comet named after her. She joins about 15,000 others who have received this honor, including Albert Einstein, Vincent van Gogh, and the Beatles. As a young scientist, Angela conducted research projects in high school on bees, horned lizards, bird aggression and plants. 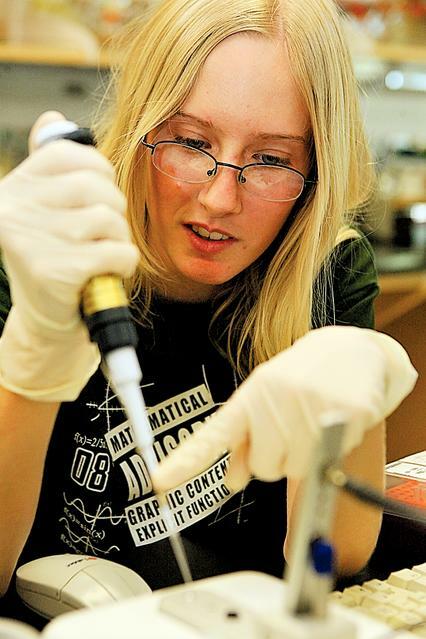 Her winning project involves extracting DNA from the sage plant that may be useful in treating mental illness. Angela starts college in the Fall as a biochemistry major. All the best, Angela, and congratulations. Every student struggles with college homework and essays in particular from time to time. But thankfully you can find lots of help from a vast number of college essay help resources all of which are affordable like MaxHomework.